Samsung Galaxy J3 Pro is an improvement over the regular J3 variant. It comes with bigger memory and more. Check it out here. The Samsung Galaxy J3 Pro becomes official with a bigger RAM and native storage compared to the standard Galaxy J3. For the purpose of comparison, the latter only comes with 1.5GB of RAM and 8GB internal storage while the J3 Pro comes with 2GB of RAM and 16GB native storage. For photography buffs, the smartphone is now geared with an 8MP and 5MP sensors which could definitely give decent outputs on your desires shots. The 5-inch HD display has also been retained which frames 720 x 1280 pixels. Likewise, the new handset is powered by a Snapdragon 410 chipset which churns with fours cores (quad-core) running at 1.2GHz speed. Having the mid-range chipset, you'll get faster mobile connectivity courtesy of the LTE chip. It also comes with dual-SIM capability and Android 5.1 Lollipop. 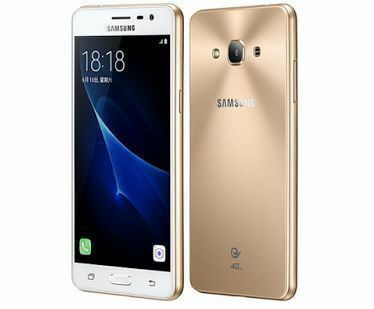 The Samsung Galaxy Pro is already released in China with CNY 990 price tag, roughly Php 7000 as of today's exchange rate. There’s no word about the availability in the Philippines yet but, for sure, we’ll let you know when it hits our shores. For more tech updates and reviews, LIKE us at facebook.com/pinoymetrogeek.